Does a Traffic Ticket Affect Immigration Status? For immigrants who have a valid U.S. visa that allows them to drive or who have legal permanent resident status, most minor traffic violations do not affect one’s immigration status. For the most part, the only actions that can affect a person’s legal status are those which could be considered “Crimes Involving Moral Turpitude” or CIMT. This is largely relegated to serious and/or violent crimes, such as robbery, assault or kidnapping. However, since there is no concrete definition of CIMT, there is a lot of room interpretation. Generally speaking, crimes involving negligence are not considered CIMT. Serious traffic offenses such as drunk driving and reckless driving fall into a gray area here and therefore could lead to deportation. The Rosenblum Law Firm is the largest and highest customer-rated traffic violations law firm in both NY & NJ. With an overall success rate of well over 90%, our firm has helped thousands of clients get excellent results. Should Undocumented Immigrants Worry About Getting Tickets? Yes. Under President Obama, undocumented immigrants who committed traffic violations were considered non-priority and had a higher chance of avoiding deportation. This changed when President Trump enacted his executive actions. Now even minor crimes, including traffic violations, make undocumented immigrants a priority for deportation (see below). What Happens When an Undocumented Immigrant is Pulled Over? Now that the Secure Communities Program has been resurrected, police can opt to check your legal status during a traffic stop. That means even a minor traffic stop can result in a deportation order. However, even if the officer does not check or does not notice the lack of legal status, an undocumented immigrant still risks deportation by appearing in court. Since New York and New Jersey do not allow undocumented immigrants to obtain legal U.S. driver’s license, undocumented immigrants will almost certainly be charged with unlicensed operation. Driving without a license (or with a license that expired more than 60 days ago) is illegal under VTL 509-1. A ticket for unlicensed operation costs between $75 and $300, plus a mandatory state surcharge of $88 to $93. There’s also the possibility of up to 15 days in jail. In New Jersey, under N.J.S.A. 39:3-10 a conviction for driving without a valid license entails a fine of up to $502, a MVC surcharge of $300 and up to 60 days in jail. These penalties would be in addition to any penalties from the traffic violation that caused the stop. How Can/Should Undocumented Immigrants Fight a Traffic Ticket? If the officer does not check or notice the lack of legal status during a traffic stop, then the situation becomes more complicated. 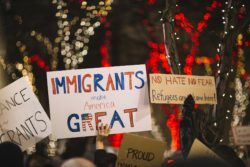 For undocumented immigrants living in New Jersey, a court appearance is required even if you hire an attorney unless you can demonstrate that appearing in court would be an “undue hardship”. Thus, the only solution to avoid court would be to pay the ticket. However, many tickets are designated as “Court Appearance Required” and therefore cannot be paid online. In New York, hiring an attorney may eliminate the need to appear in court (this is usually but not always the case). Please note, that in any event a judge or other official could still notice the lack of legal status and possibly issue a deportation order. Who Should Immigrants Call After Getting a Traffic Ticket? Whether you are worried about the risk of deportation or simply want to avoid the high costs of a conviction, it is highly recommended you contact an attorney to fight a traffic ticket in New York or New Jersey. 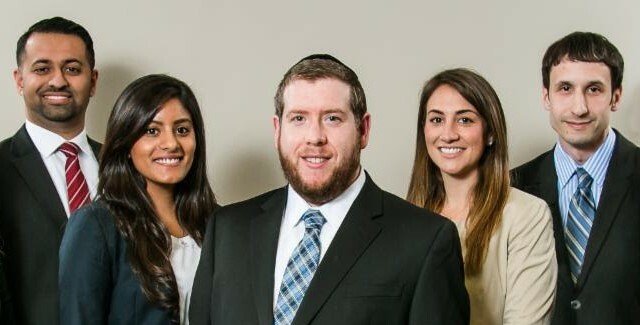 The lawyers of the Rosenblum Law Firm are experienced traffic ticket attorneys with offices in New York and New Jersey. Email or call 888-203-2619 for a free consultation about your case.